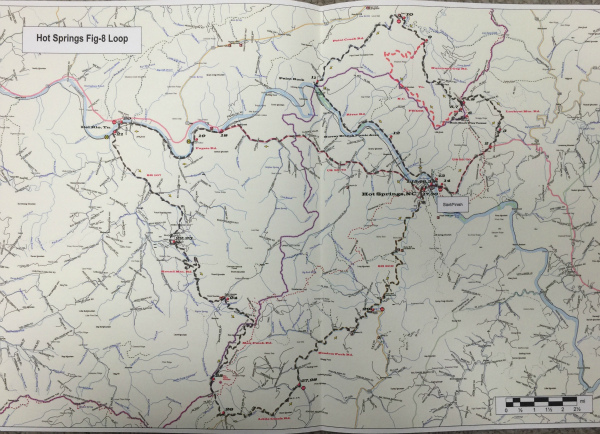 This is a great figure 8 loop tour along the Tn/NC border. It is about 57% paved and 43% good gravel roads. Total length of both loops of the "8" is about 75 miles and takes about 2 1/2 to 3 hours. The loop north of Hot Springs has an option for a challenging jeep trail type section [FS422] that usually has many good mud holes to traverse if you're up for getting dirty.